Today we have Karan Gerber and Barb Craft sharing some fabulous projects featuring the all new "Halloween" collection by Quick Quotes and our favorite Xyron adhesive!!! We are blog hopping with Xyron this week and I wanted to share with you a project I created wtih the new Halloween release from Quick Quotes. I used the Creative Station from Xyron on many of my diecuts. white cardstock and chalked with Lemonade Chalk Ink. The die cut Tim Holtz Crickety House was inked using Mango Mai Tai and a little Mocha Mamma. as was the grass which I punched using a EK Success Punch. I die cut some pinwheels using the Tim Holtz die in all three sizes. The center of the pinwheels were put through the Xyron Creation Station and the adhesive allowed the assembly to go much smoother! The MFT Die was also put through the Xyron Creation Station. What a wonderful way to make sure my die cuts are adhered well!!! Barb Craft is up next to share a really fun way to use your scraps and create an amazing altered project! Check out this adorable frame! 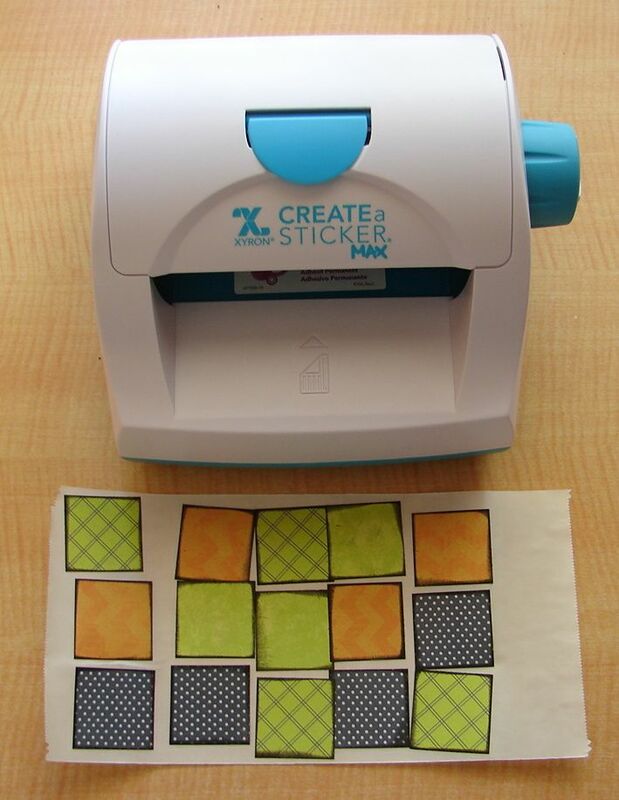 She used the Create-a-Sticker Max to make all those small pieces manageable! Thanks so much to Xyron for sharing your awesome products with us! Great ideas; putting the pinwheel centers & the squares through the Xyron. This will definately cut down the drying time and the glooze that mushes up everywhere. Thanks ladies. You all rock!!!! Love the halloween projects - fall is right around the corner. Ooooh, halloween fun! I love the TH house! Whoa...look at that door hanger! I think it would look great as a centerpiece on the table also. The frame looks like a great project for the brownie troop. Thanks for the inspiration. Great projects! 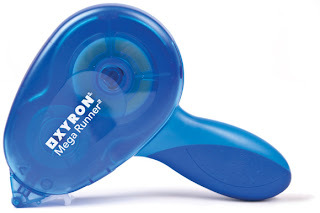 Doesn't Xyron just make life and crafting easier?! I love Xyron products! Thanks for the chance to win a cool prize!! I like having quick quotes to use with my scrapbooking and card making. My handwriting is so bad that even I can't read it sometimes. thanks for providing help. Cute projects - all of them!! How adorable both projects are! Very talented ladies! The rosette owl is such a cute idea and I can't wait to try out the background technique on the frame and use up some scraps. I love these Halloween layouts! They are amazing! omg that door hanger is so cute! I haven't used the Xyron creation station thing yet but these projects are seriously making me want to try it! Cute...But not fond of spiders! Thus, I like the frame a lot. Love it! The door hanger is especially cool. I love the frame idea. cute projects. tfs. i love halloween and love seeing all the great projects everyone is coming up with. thanks for the chance to win a great prize. Love EVERYTHING about Halloween......it's my birthday!!!! Love the frame. Never would have thought it was as easy as the photos make it look! I love your ideas. I want to try them all. These are adorable projects! Thanks for sharing your wonderful ideas with us! Great ideas, so excited to give them a try. Super cool layouts love the colors and the layering is so perfect. wow how time flies its soon to be Halloween. I love the rosettes and the Tree is super Amazing thanks for sharing and for the chance to win. It is really nice to see the hard work put into these projects! Great work and thanks for the effort and time put into them. What great talent you gals have.. Thanks for sharing it with us.. Thanks, too, for a chance I. The giveaway.. I've been trying to decide on the Tim Holtz die cut of the "spooky house"....you've helped me make my decision ! this is so very cute !! Halloween is my favorite holiday and this paper line is so spooky!I have got to make some of those cute owls with the rosette bellies. Just too cute! Wow that door hanger is amazing and the frame is super cute too! Naturally the Xyron is the perfect tool for all of those little pieces. It never ceases to amaze me how creative your projects are. Cute projects,love the pinwheels. Isn't xyron great. Wow, Just love all the details, colors and cuts. Love the projects and thanks for the giveaway! What a sweet door hanger!! I love how many rich layers there are! Love the owl on the frame, so cute. PERFECT marriage of my 2 favorite companies and look at what they can produce!!! 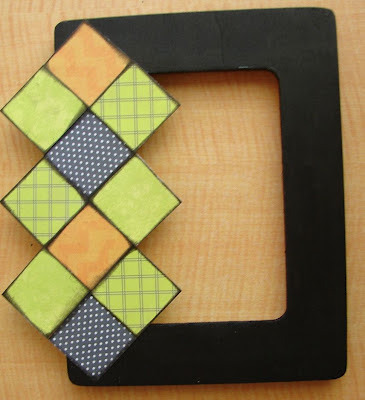 Love the awesome colors used and the fun idea for an easy peasy project using Xyron. Thanks also for your giveaway...how much better can it get! 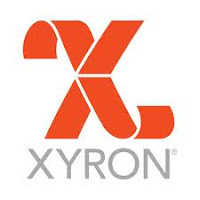 I love both Quick Quotes and Xyron! Awesome Halloween door hanger. I love the details! I'm a faithful follower! The door hanger is unbelievably great. I love every thing about it, the paper, the colors, everything! Anjie Simmons here. Love the picture frame idea, so doing that! Love all the projects. I especially liked using the scraps. That door hanger is magnificent, and so full of ideas I don't think I would have tried before. I can't wait to get a Xyron Creative Station from Santa. I love them, quick quotes designers are so awesome! I really like the frame...awesome idea! I love that frame that has the owl! So cute! I am a follower. Name: Jennie P.
WOW! Karan's door hanger is incredible!! I loved looking at all the little details. And Barb's frame is really cute too! You're puttin' me in the Halloween mood, ladies! Thanks for the inspiration. I love the way that this worked out with the scraps. Great use. Great use of the Xyron on all the little pieces. Cute projects! Great projects. Love the picture frame using up allthe scraps. This is such a great idea. & I love using the xyron to adhere the center of the rosettes. I don't celebrate holidays but find great inspiration from all I see on the various pages. When card making you never know what you may want to use next. Really cute projects. 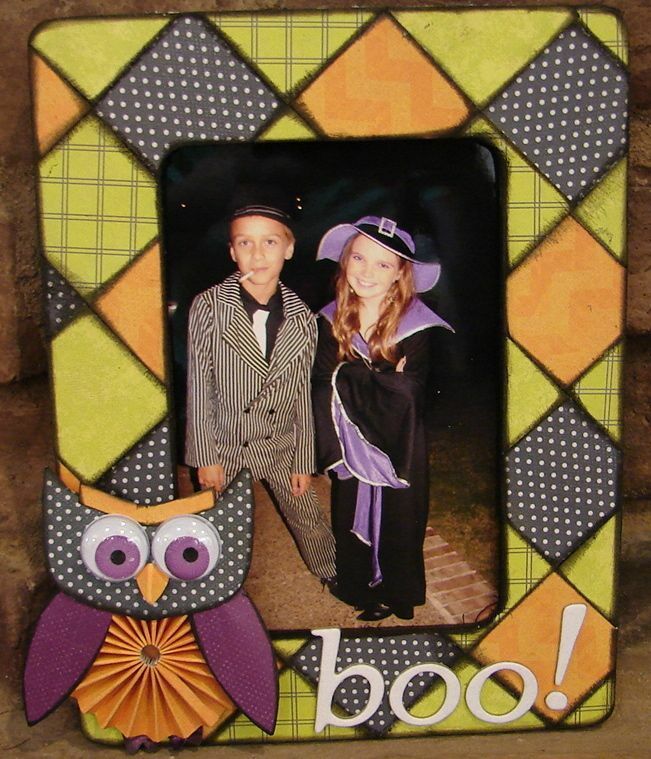 What a great idea to decorate the frame with a Halloween look for a Halloween photo. That spooky house is really neat. I might have to try that. Thanks for the chance to win. Terrific project!! Love all the great pin wheels and how every thing goes together!! love love that door hanger and such a cute frame thanks for sharing and the chance to win im a follower. I love all of the details on the door hanger and I love all of the colors in the frame. love the way you created the owl body with a rosette! Super cute!! !